Just days after the second-warmest November ever since 1910, the big freeze finally hit Britain today, carpeting much of the north in snow and ice, while temperatures plummet across the rest of the country. Forecasters have warned that four inches of snow will fall in the next 48 hours causing misery for motorists. 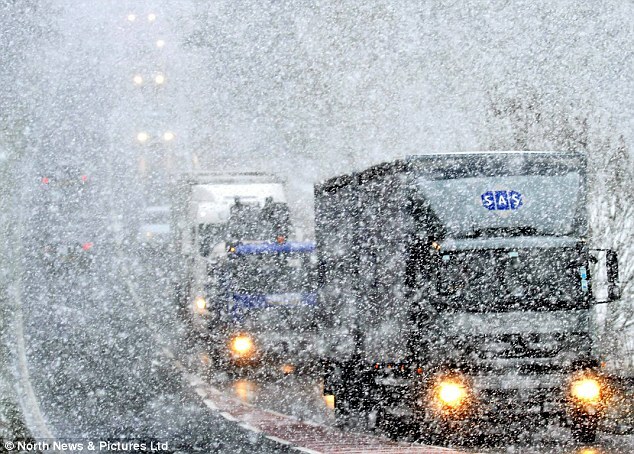 The meteorologists warn of a severely cold winter ahead, which may cloak London in a white sheet. The Met Office today issued severe weather warnings of snow and ice for most of Scotland, Northern Ireland, much of northern England and parts of the Midlands.